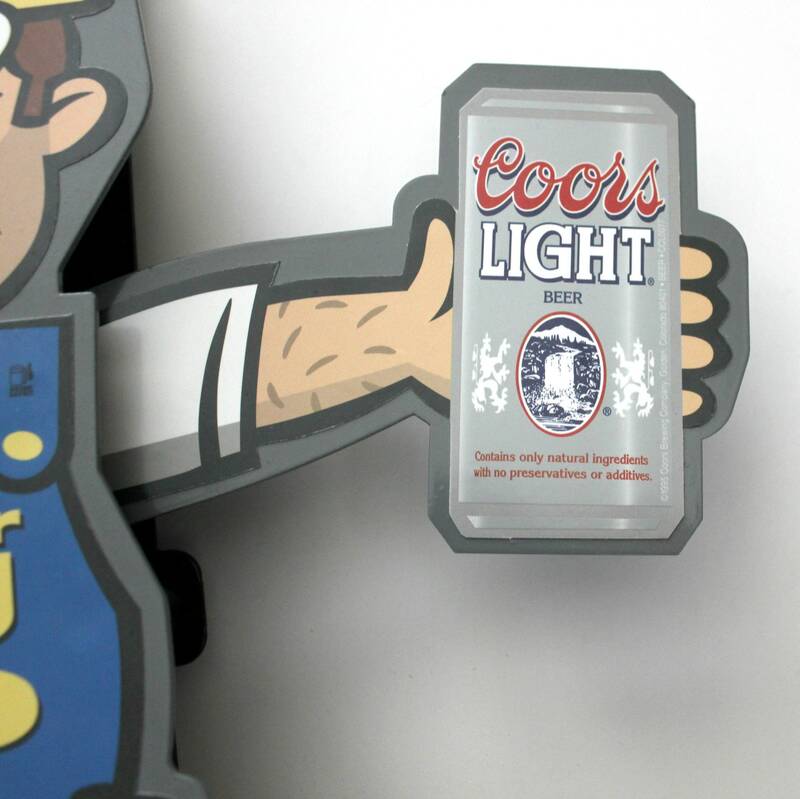 This is a wonderful heavy metal vintage Coors Light Beer promo bell sign. 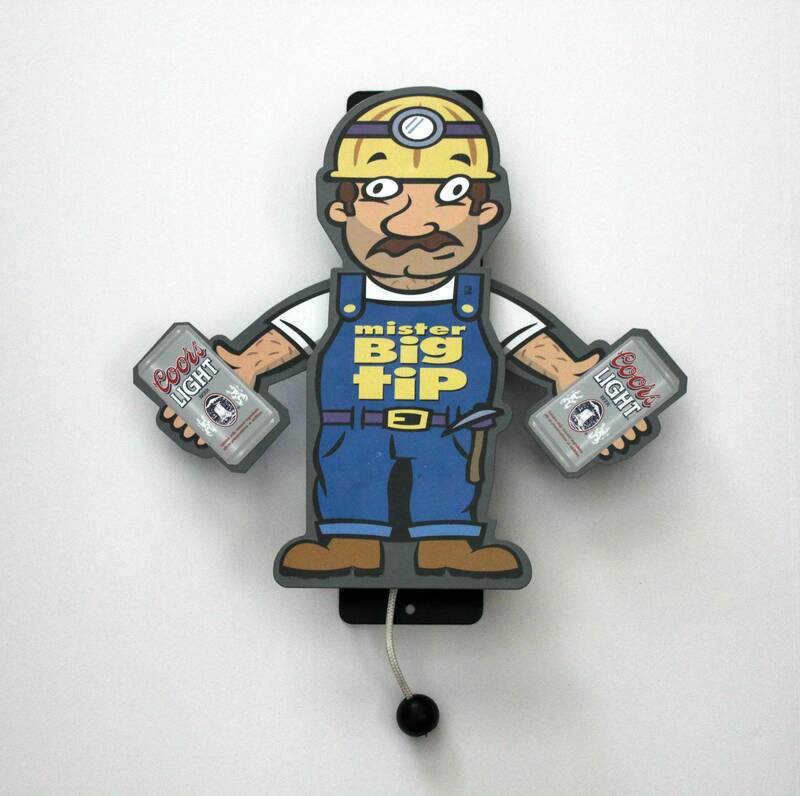 It is coal miner dressed in blue called Mister Big Tip holding two cans of beer. When the rope is pulled, his hands swing up and loudly ring the bell. 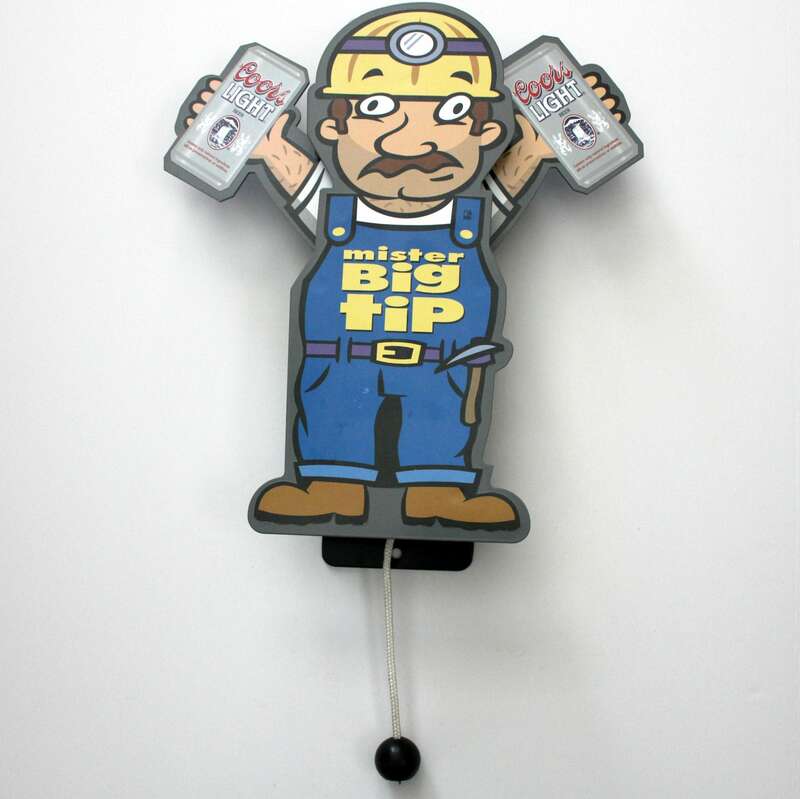 What a great item for the beer sign collector, or a gift for the man cave. 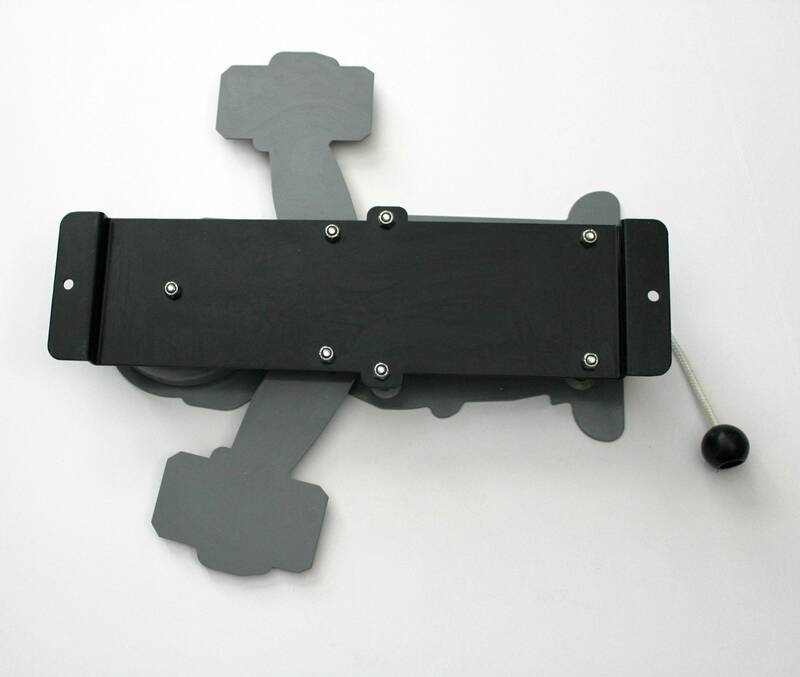 Height (not including rope) - 14 5/8"
Width with arms spread out - 14.5"
Rope hangs down an additional 5.25" when pulled. Condition is very good. 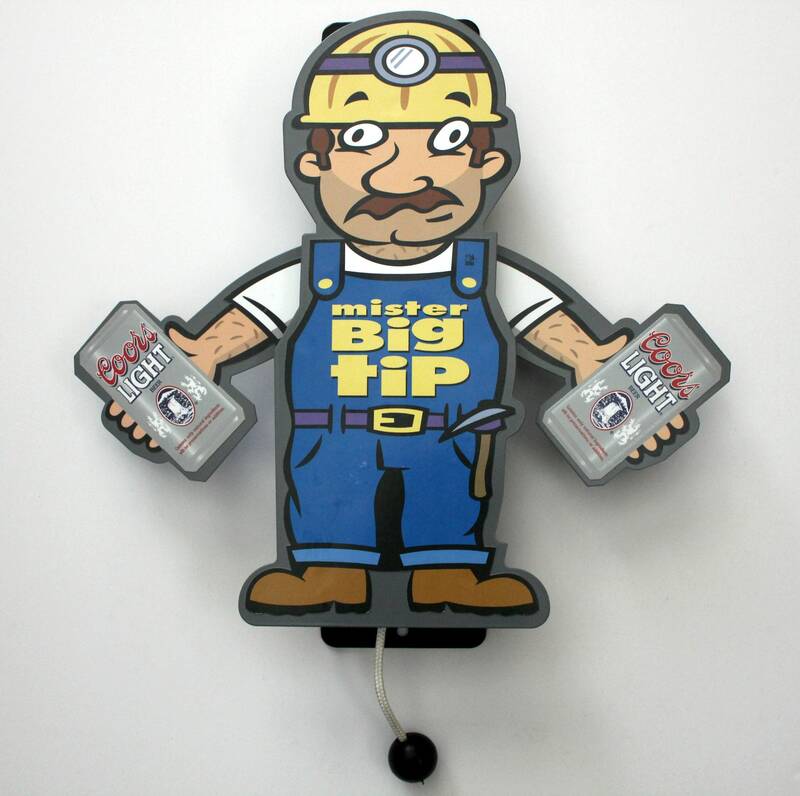 The man is a thick decal that is attached to the metal frame. There are a few blemishes on his legs, mainly the right. 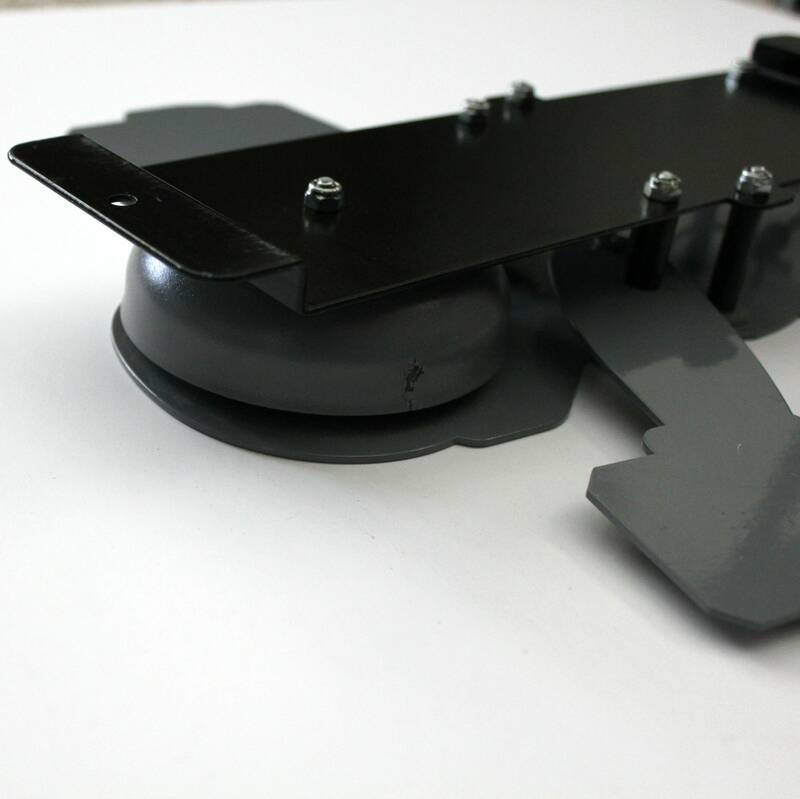 The bell has two spots of missing paint, one on each side that is normal due to metal hitting metal when the bell is rung.